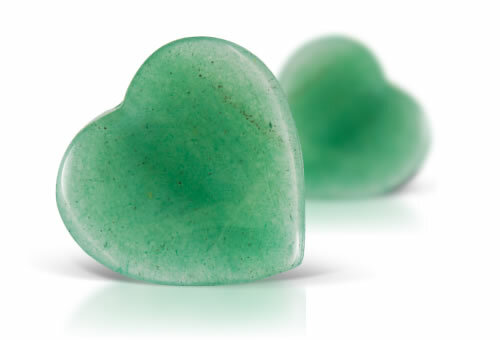 Aventurine is a form of quartz, distinguished by its translucent to opaque appearance and the presence of mineral inclusions that give a shimmering or glittery effect termed aventurescence. The phenomenon of aventurescence is caused by small leaf-like or plate-like inclusions, usually mica, distributed throughout the host material. Light striking the surface of these inclusions is reflected back to the viewer, creating an eye-catching sparkle. While customarily green in color, aventurine may also be found in colors ranging from blue, orange, white, yellow, reddish-brown to gray. Misnomer: Indian Jade for green variety. Aventurine quartz is quartzite that shows aventurescence. Aventurine quartz will have green disk-like chrome-mica fuchsite flakes or platlets that can be seen with magnification.